Our facilities will make you feel right at home while you're docked with us. Whether you're fueling up or getting supplies, our Dock Store has you covered. Enjoy fresh seafood and amazing dockside dining at Flipper's, our on site restaurant. Get out on the water aboard a rented boat or a relaxing dolphin cruise. 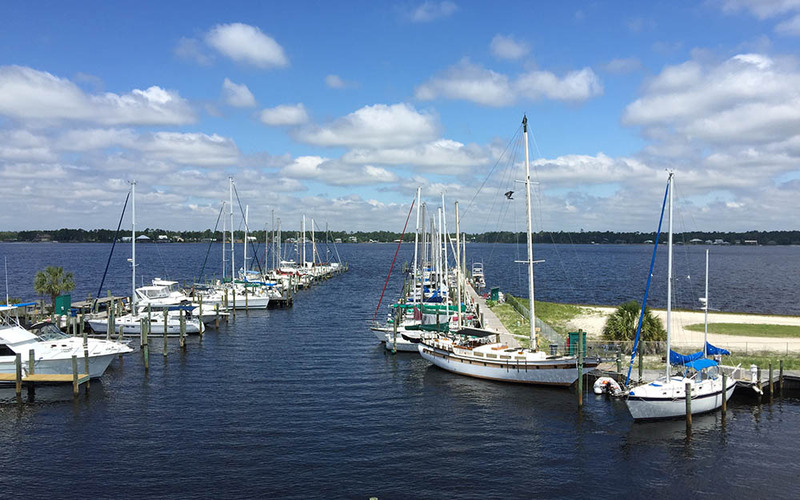 Bear Point Harbor is your paradise destination on the Intracoastal Waterway. We provide quality fuel, supplies, laundry facilities, showers, friendly service and much more.